Are you tired of the same old same old when it comes to counter materials? Choose glass, it’s unique and stylish. When making countertop choices you have the standard materials at hand, stone, engineered stone and various other solid surfaces. Glass may not be the first option that comes to mind, but it is quickly gaining in popularity. Individuals who want to be set apart from the rest will find glass a great way to express their unique style. It is an exceptional choice where practically each piece seems to be custom made. It is a piece of art! Glass provides a clean, sanitary, durable and very stylish countertop surface, one that you won’t find in every other household down the block. 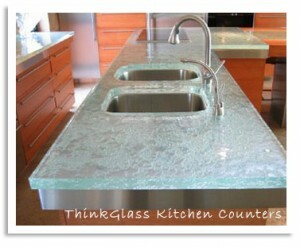 When glass is crafted to the proper thickness it becomes as hard as stone. It is non-porous; highly scratch resistant, heat resistant, easy to clean and super hygienic. This is a product suited for both the kitchen and bathroom and offers many design options in terms of color, texture and lighting that far exceeds natural stone choices. Being a custom product, glass countertops can come in many forms and styles. Smooth surfaces as well as textured glass are available. 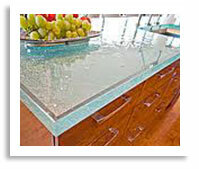 Reach for the “wow” with glass on your next project. With natural sunlight or accent lighting, glass produces a luminescent quality that makes a dramatic design statement in any room. 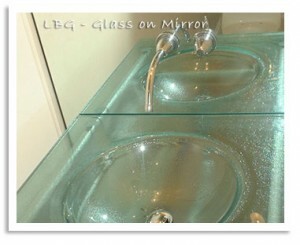 Check out some cool design ideas at ThinkGlass and then contact Lemon Bay Glass.